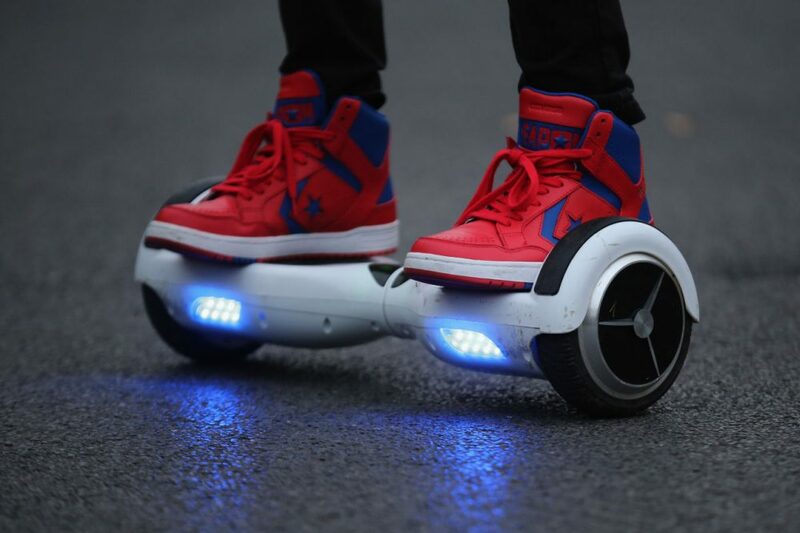 One of this season's most popular holiday gifts is facing growing concerns about its safety. Some brands of hoverboards, the two-wheeled motorized scooters that do not actually hover, are being pulled from the shelves of major retailers after incidents of people getting hurt and several highly-publicized cases where the self-balancing toy caught fire. Here & Now's Jeremy Hobson speaks with Noah Kulwin of Re/code about how popular hoverboards have become and what the safety concerns mean for the product and the consumers. Noah Kulwin, associate editor at Re/code. He tweets @nkulw. This segment aired on December 15, 2015.